The choice of music for a corporate video is very important to the overall feeling and mood of the video, which is critical to the impression the whole video gives viewers. Imagine a video for a relaxing upscale spa, but with hard rock playing during the duration of the video. The whole video would be ruined and the feeling of relaxation wouldn’t come across no matter how great the visuals. Of course, playing rock music during a spa video is an extreme example, but music selection often takes finessing and a lot of work to capture the energy and mood desired. Typically, a discussion of music should be had before editing even commences because many editors cut to the music on corporate work, so when they select a track they are actually making edits that align with the beat of the music. When you are discussing music for a corporate video, there are several options available that will dictate both the budget and the process of selection. The vast majority of our videos have music selected from several stock sources, usually with a standard online royalty-free license. Most royalty-free music ranges from a few bucks to a few hundred dollars, depending on the source and type of music. We rarely spend more than $20 per track on music, though. A great way to discuss music with a client is send over several samples that seem to work for the video, then ask if they have a preference. When a rough edit of the video is completed, clients may change their mind about the music, which is ok too. We often have videos where the initial music selection didn’t work with the finished video, but at least it provided a starting point. Another option for music is licensing songs or tracks from artists, but the process is not just much longer but also much more expensive. We had a client request us to use a popular rock song in a trade show video once, which because of its limited audience was possible within a reasonable budget. Even so, the song license was almost as much as the video itself and we couldn’t use the song in any online version of the video because the license was for a one-time performance at the trade show. Hollywood studios often pay many tens of thousands of dollars to license hit songs for their movies, which is beyond the price range that most corporate videos can afford. Limited licensing is possible, though, and if you think a hit song is essential to your video, by all means inquire about it. Just understand the process may take time, so plan accordingly. Another more affordable option that can elevate your video production to a higher level is commissioning custom music. Granted, on a corporate video budget you won’t be hiring the London Symphony Orchestra to perform a grand tune for your epic video, but you can hire very talented composers for anywhere from a few hundred dollars to a few thousand dollars to compose a great, custom-made tune. The most notable advantage is having complete control over the music, so the first step will be to finish the video and “picture-lock” it. In Hollywood feature filmmaking, you lock picture before you finish sound elements because the sound and music are completely dependent on the picture. Picture-lock means absolutely no more edits will occur to the running time or content of the visuals. Any future changes will be auditory only or graphical elements (like text being added to a shot, or motion graphics overlays, etc.). Once a video is picture-locked, the composer can make sure every musical cue fits with the visuals, which also means making sure loud parts of the track don’t occur during important bits of dialogue. The music is custom-made for the video, so it all matches perfectly with the beats of the visuals. It rises and falls appropriately, it ends at the correct time, and feels smooth and natural. 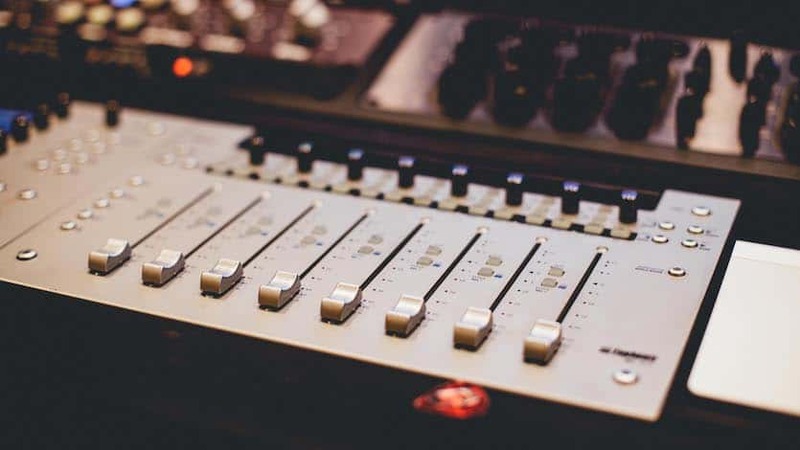 With stock music pieces, the editor has to truncate the audio track prematurely in most cases, or for longer videos combine two separate audio tracks into one video. Sometimes, to make the stock music work, the editor has to start the track late and end it early, finding just the right points so that it works as well as possible. It will never be a perfect fit, but for the price it works well. When working with a musician, you will want to give them an idea about the style of music and any similar musical influences you might want in the custom track. You want to give them the best idea you can before starting to minimize costs and revisions. Most musicians will expect notes and changes, but you want to point them in the right direction at least if nothing else because it will save time. If you have a few tracks that you like from other videos, send them over. If you have a type of music you want (smooth jazz, electronic, rock, piano, etc. ), mention it. The last thing you want when you hear the music for which you paid significant money is a big surprise and something that won’t work for your company or the video. Ultimately, custom music is the best option for the highest quality video, but whether or not it’s worth the investment depends on the overall price of the video and the company’s marketing budget. To spend $800 on custom music for a $2,500 video doesn’t make a lot of sense. To spend $800 on music for a $10,000 video, however, feels like a good investment. Using stock music for high-end corporate videos somewhat cheapens the final result, especially because every other element of the video was crafted with creativity and care, but then the music is just shoehorned into the project. We always do our best to make sure the music we choose fits well with the finished video, so I’m proud of the selections we make, but like many parts of the corporate video production process, compromises are made because of budgetary restrictions.